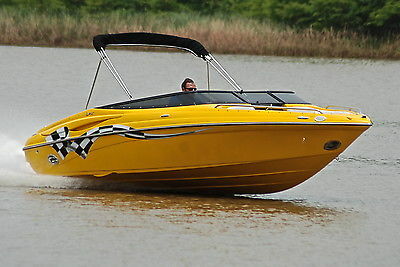 2003 Crownline 225 LPX A great Sporty Bow Rides. 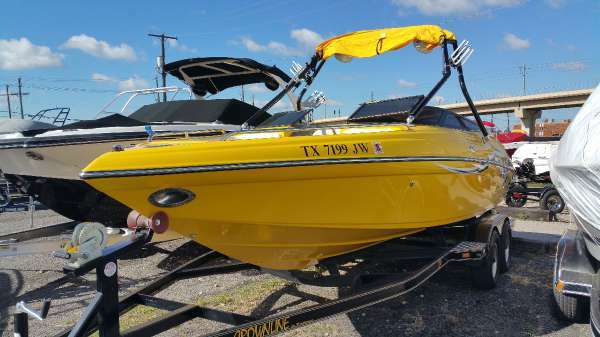 Features include Bimini Top, Cockpit Carpet, Swim Platform w/ladder, Digital Depth Finder, Boat cover, Silent Choice Exhaust, Much More!! 2005 CROWNLINE 225 LPX, Includes Crownline's LPX package. 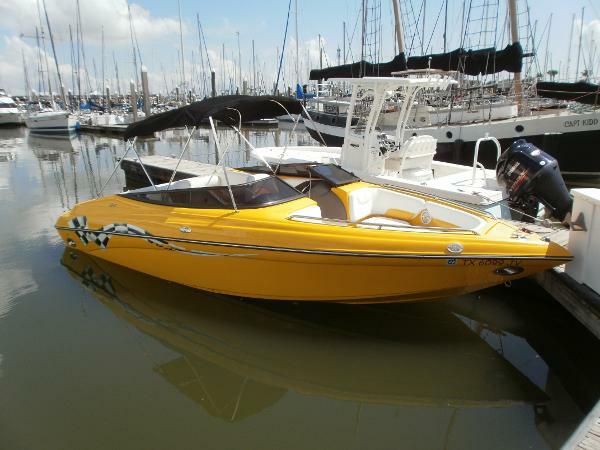 Features a 320 Hp fuel injected V8 with a Bravo 3 (duo prop) drive. 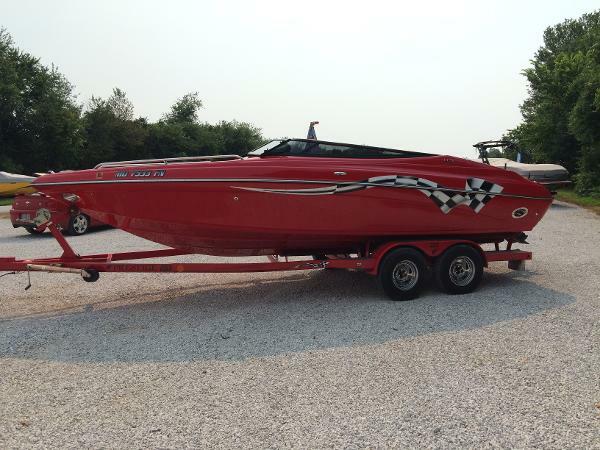 Also features selectable exhaust, wakeboard tower with bimini & 4 speakers, upgraded stereo with amp & sub, bolster equipped helm seats, boat cover, docking lights, depth sounder, anchor locker, sport windshield, pull up cleats, and tandem trailer with spare. 2002 Crownline 225 LPX 2002 Crownline 225 LPX. Powered with Volvo 5.7L with SX outdrive. 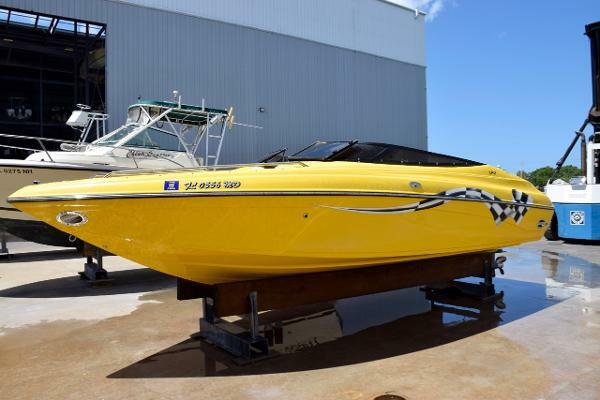 Beautiful bright yellow hull with LPX checker decal down both sides. Captain's select thru-hull exhaust, bimini, smoked windscreen, bolster bucket seats, snap in carpet, four step stainless steel boarding ladder and built in cooler on swim platform. A very clean, great run around. DON'T WAIT ON THIS ONE. GOING FAST. 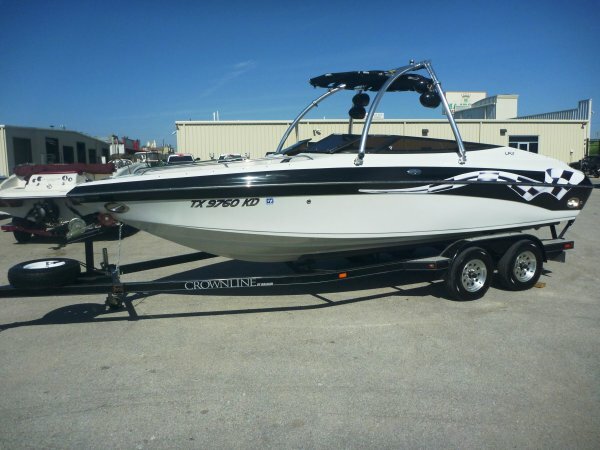 2006 Crownline 225 LPX This sharp 2006 Crownline 225 LPX just hit our lot, and is ready to hit the water! 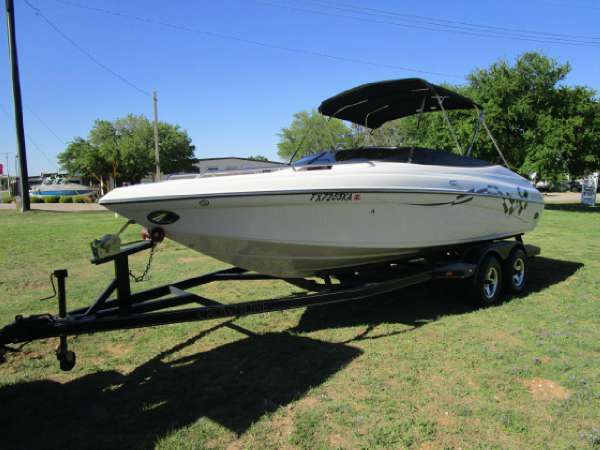 This boat features a Mercruiser 350 Mag with trim tabs. It will definitely scoot across the water. The interior of this boat is in great shape and has been well maintained. 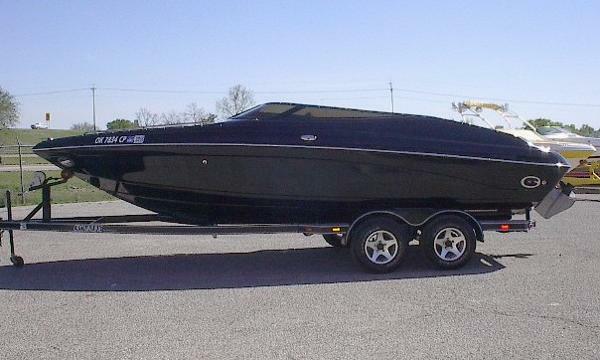 Besides the great motor this boat has a number of other features to go along with it.... - Red Tandem Axle Trailer - Captain's Call Exhaust - Docking Lights - Pull Up Cleats - Bimini Top - Sony Head Unit For more information on this boat, contact us today!